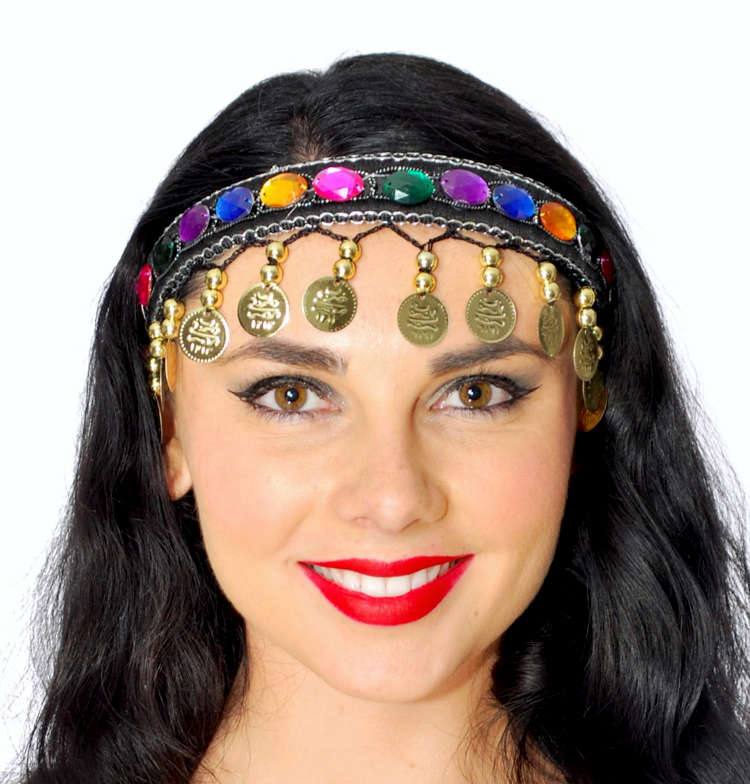 This comfortable and versatile headpiece an easy way to add a finishing touch to your belly dance costume. The multi-color faux gems match almost any ensemble. Fits most adults and kids ages five and up. One size. love this headpiece, was on sale for under five dollars, but very pretty and functional for long hair and keeps hair under control.